Would you like to adapt your chase-car to Scalextric Sport Digital, but concerned about the body lean and sliding rear end? 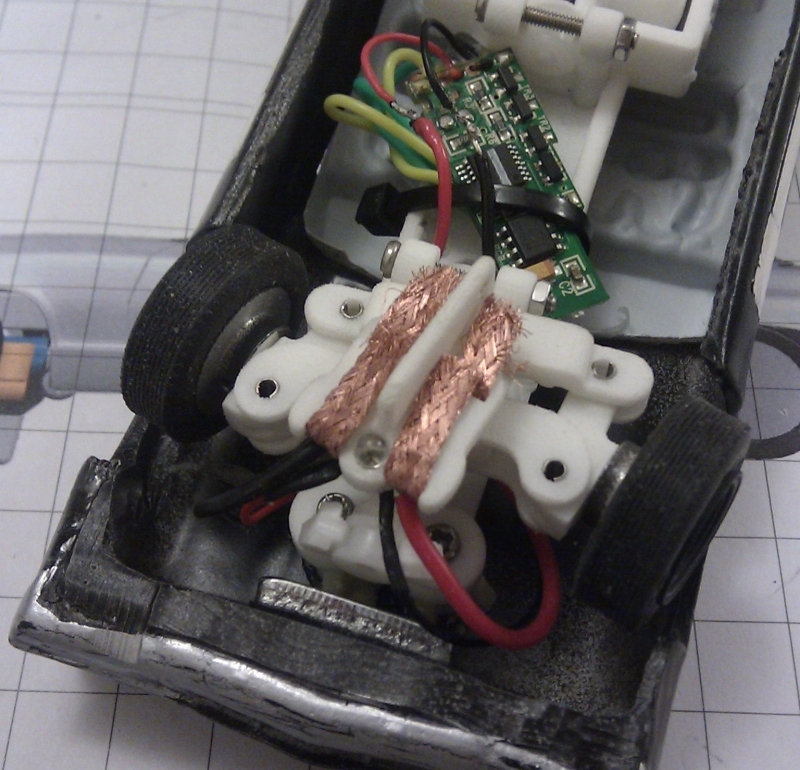 Do you have a regular slot car and you’re fed up of drifting cars missing sensors? Are your track designs constrained by the need to have a straight before a lane changer? Never miss a lane change again with our revolutionary SureChange guide. Put lane changers, pit lanes and start/finish lines anywhere you like. 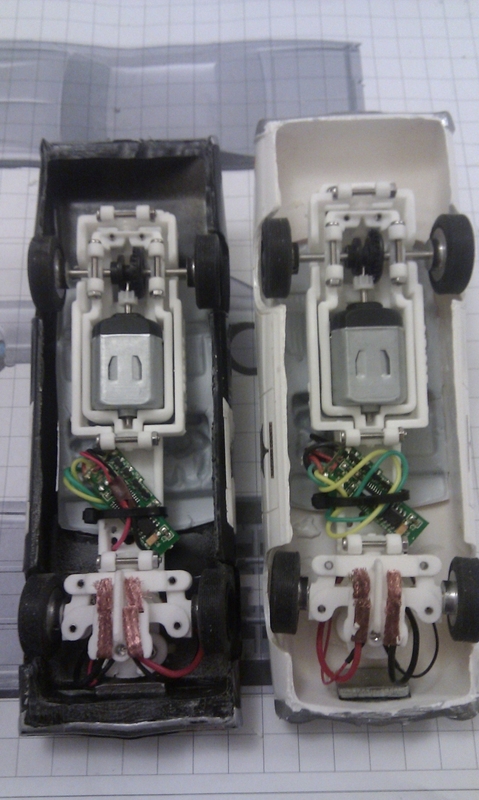 We were fed up with our magless racing classes sliding just a little too much and missing sensors. Believe us – full speed pit entry when you are not expecting it is irritating for you and extremely annoying for the racer you just punted out of the pits in mid-refuelling. Add to that missed lane changes as racers exit bends with a little too much juice and the rewards of driving without magnets can be outweighed by the lane change disadvantages. 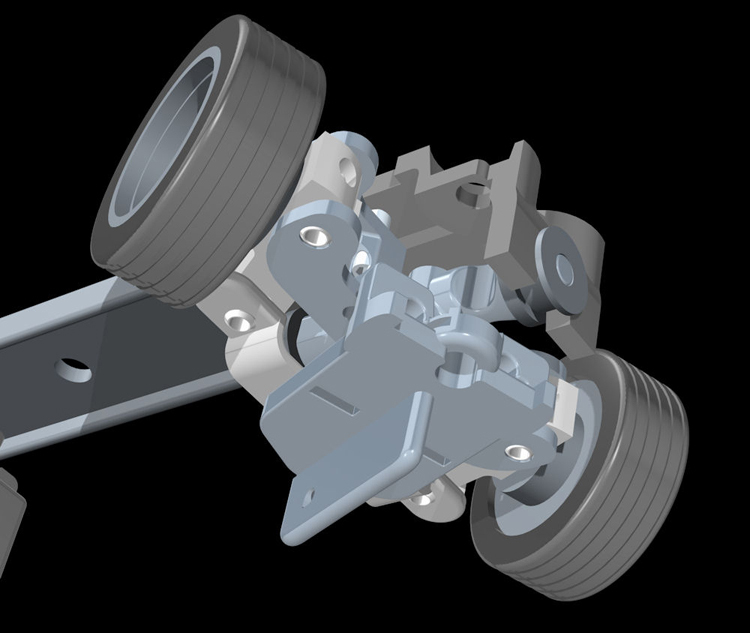 Even with magnets fitted, some of our better tuned Super Resistant cars, with standard 18k motors on treated tyres, were sliding and missing sensors. So we felt we needed to do something and the idea of the SureChange guide was born. It’s simple really – you need your LED to stay over the centre of the slot in order to guarantee the sensors being able to read it. Putting the LED some way behind the guide means that a car that isn’t straight – isn’t showing its LED to the sensor. Scalextric lane changers stay where they were last changed to – so a sliding car has a 50/50 whether it will go straight or change lanes. Our SureChange guide places the LED in the one place it is always over the centre of the slot – directly in front of the guide blade. So as long as you keep the car in the slot you will never miss a sensor. We offer two versions – the bare guide (guide plus screw) or the full guide (guide plus screw, braids and spare IR LED. The guide stem is long enough to be a direct replacement for a Ninco sprung guide. The stem can be cut with a sharp craft knife (careful please) to make it shorter to fit Scalextric, SCX and other brands with the same diameter stem. The guide is made from sintered nylon which is strong and hard wearing – ideal material for a guide. The material is very resistant to abrasion. White or black guide? (black is more expensive to produce so we have to charge more). If you upgrade your C7042 APB firmware to the latest version; this improves reliability and can be used with the white or the black guide. Black guides are needed for standard C7042 APB’s, C7030 PBs and the 4 car PB. 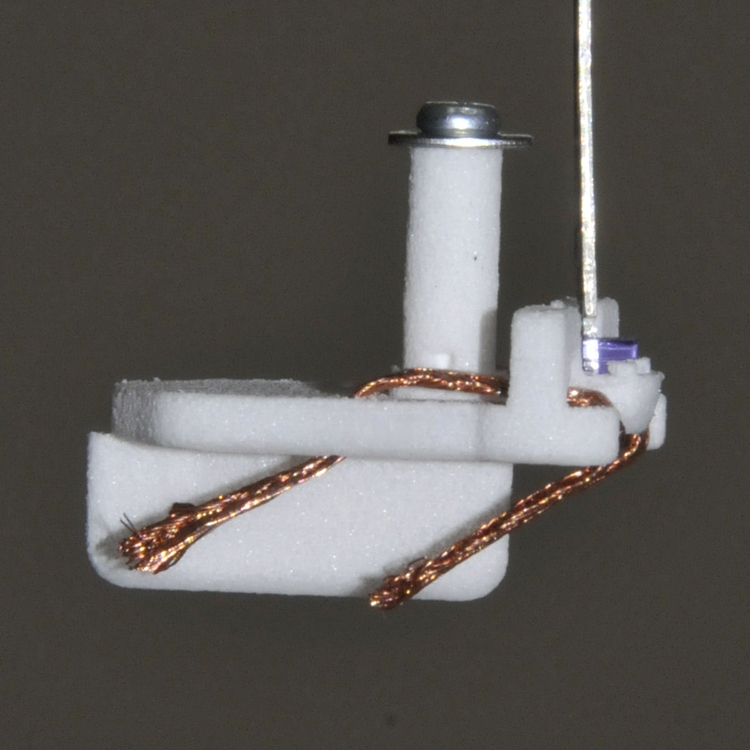 You need reasonable mechanical/model making ability to fit the SureChange guide as you will need to refit your existing LED or use our replacement LED. You can use the existing LED wires but these are quite stiff and not designed to be moved around in a guide. 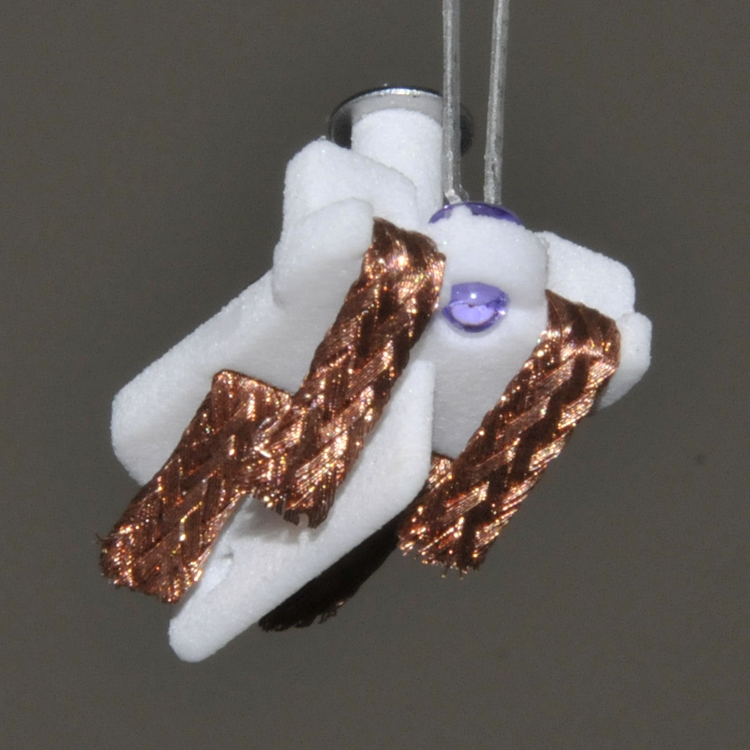 We recommend using a flexible guide wire on the LED to prolong the life of the wiring. 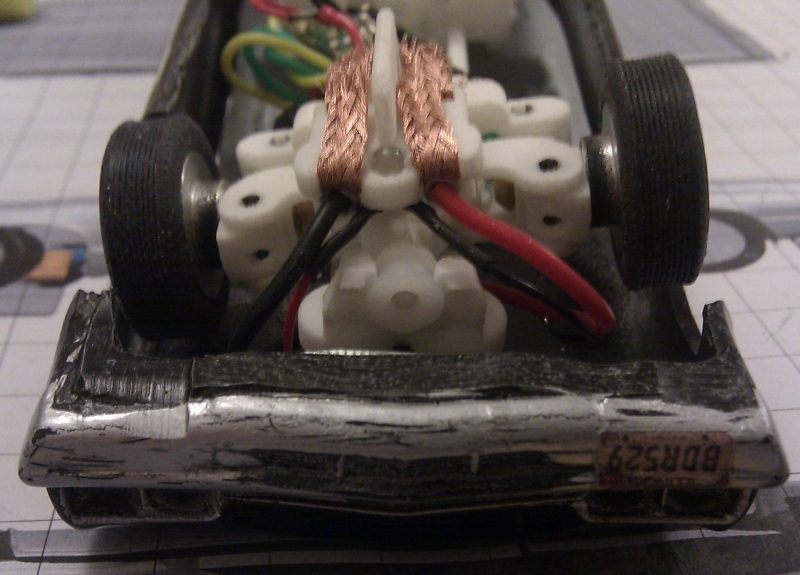 Here’s how it looks when installed on a chase-cars chassis; the braid wires come forwards and the LED wires follow them. Just make sure the wires clear the suspension pivot and body posts at full steering lock. And here’s two, ready to chase!